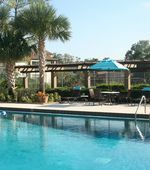 Winter Park Village Apartments has been a family enterprise for well over 40 years. The founder, George Taylor, together with his wife and three young children, arrived in Orlando in 1962 to start a new job with a major Orlando manufacturing company. 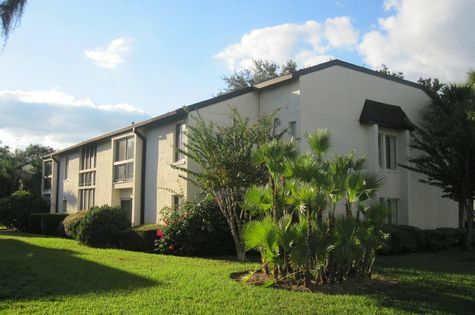 After searching for a comfortable family apartment to live in while getting established, they found that the only apartments available near Winter Park were in a small extended- stay type motel complex. After nine somewhat frustrating months living in a unit with limited space and no lawn or outdoor areas for family recreation, an idea was born: perhaps many people could benefit from an attractive, comfortable apartment community near Winter Park. Research was begun in earnest to learn what it would take to actually create such an apartment community. Unexpectedly, the present property was found - exceptionally close to charming downtown Winter Park. -It originally had been part of The Aloma Golf and Country Club in the 20s. -In 1945 the land became the Showalter Field- Winter Park's only airport. -It was originally designed to be an Airpark with a country club atmosphere; later it included a flying school and air shows. Winter Park was a small and growing town in the '60s and the idea of building the apartments seemed so appealing and interesting to the Taylors that the decision was made to give up George's stable manufacturing job and take a chance on learning and doing whatever was necessary to create a comfortable apartment community. One of the original, basic design concepts and a "first" in the area, was to locate the buildings around spacious, attractively landscaped courtyards. The apartments were immediately well accepted and construction and management continued until the community reached its present size. Our business affects our customers in one of the most important areas of their lives. This creates not just the responsibility but the opportunity to set ourselves apart by seeing things from a resident's point of view and putting the resident first in all we do. With each decision we make and action we take, there's an opportunity to enhance the lives of our residents and make a contribution to the community. Accountability-we should always deliver as promised to you. Integrity- to always try to do what is right. Continuous improvement - to keep improving the apartment homes in order to provide better value for you. Customer focus- everything is done with you, the client, in mind. Candor - we strive for open and honest communication with you. Exceptional service - our service team signs a pledge of service excellence and is dedicated to "go the extra mile" for you. Pride - we're proud of our experienced, professional management team and staff. The current family business is the culmination of 44 years of learning and experience on the part of two generations of family members. Although these principles are 44 years young, the aims described above remain unaltered. Every day, we thank our residents for the confidence they have placed in us and continually strive to enhance our reputation as one of Winter Park's finest apartment communities. Make your home at Winter Park Village. Combine the appeal of old Florida living with a coveted Winter Park Lifestyle. Our tranquil community is surrounded by towering oak trees nestled within lush, sunny courtyards. Choose from studios to spacious 3-bed-room apartments. We offer an incredible Olympic-sized pool and an intimate clubhouse where a caring staff knows the meaning of southern hospitality. We are a big family, and we pride ourselves on delivering a level service you just won't find anywhere else. 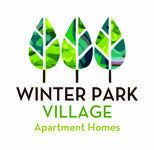 At Winter Park Village Apartments you'll be close to work, close to school, and close to all the convenience and culture that make Winter Park such a special place to live. 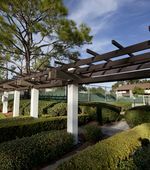 Enjoy a friendly, tranquil Village and the elegance and excitement of Winter Park. It's the best of both worlds, right here at Winter Park Village Apartments. Winter Park Village Apartments is on Aloma Avenue just six or seven minutes from legendary Park Avenue in downtown Winter Park. There's a beautiful entrance to our community -- If you blink you may miss the entrance completely -- But we like it this way and believe it's why we're considered one of the area's best- kept secrets. Outside our charming village, the world is at your doorstep. Publix supermarket and whole Food Market are across the street. Rollins College and Full Sail University are about two miles away. 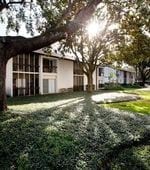 We're minutes from Winter Park Memorial Hospital and the Winter Park Library and you can walk to the Crealde School of Art. When you make your home here, you are immersed in the Winter Park lifestyle. Park Avenue beckons each day with fantastic dining and nightlife, eclectic boutiques and frequent outdoor events and festivals. 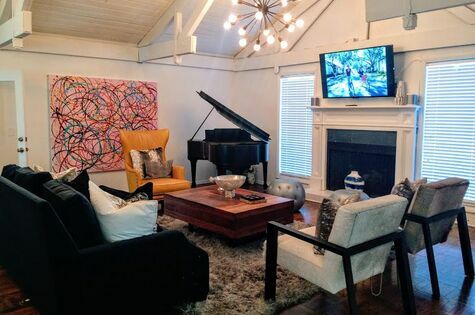 If you're looking for a great place to live in Winter Park, look no further. You just found it.